Lise Marlowe, 6th grade teacher at Elkins Park, is being honored by a Philadelphia Holocaust organization for her years of teaching about the Holocaust. Lise Marlowe is a sixth-grade teacher who believes in doing things big. Consider the project she came up with 20 years ago when she realized her students at Cheltenham's Elkins Park School had a hard time grasping the enormity of the six million Jews killed in the Holocaust. "So I took out a piece of paper and said, 'If I drew a stick figure every day, how long would it take to get to six million?' " Marlowe recalled. "They said a couple of weeks." Marlowe told them it might take a couple of decades. The next day, her kids started drawing. The first year, Marlowe's Stick Figure Project did about 100,000 renderings, barely covering the murdered babies. The next class took over, then the next one. "It's tedious, it hurt your hands," Marlowe said. Every spring, the kids lay out the reams of paper with all the stick figures on the entire gymnasium floor – and realize they're not nearly done. The teacher estimates they're now up to 1.3 million, or only the children who perished through the age of 8 – a fact that not only conveys the size of the Holocaust to a new generation but brings an emotional wallop. "The tears come," she said. "It shows they care. They're shocked that this could have happened." Elkins Park School teacher Lise Marlowe’s students spread out on the gym floor the stick figure drawings they made to represent Holocaust victims. After 20 years, her classes are only up to 1.3 million victims. 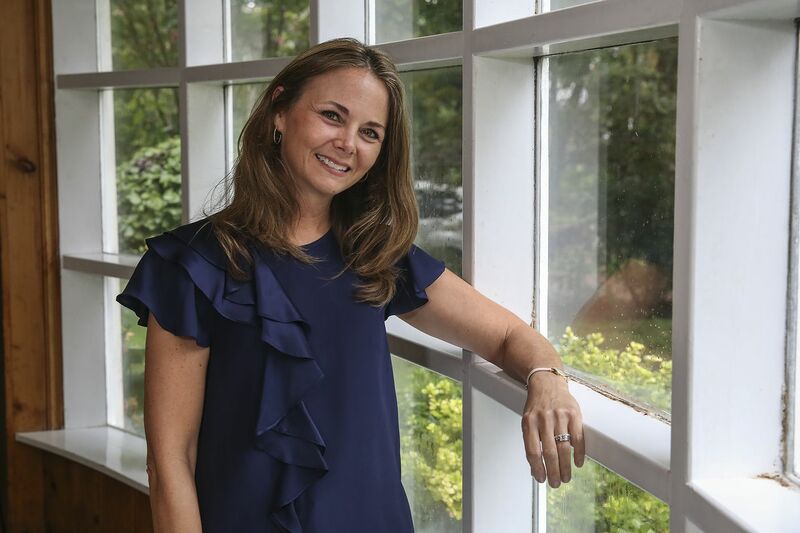 Yet this massive project is only one part of what the 51-year-old teacher has done to keep the memory of the Holocaust alive in her Montgomery County community. She brings some of the dwindling number of survivors to talk to her classes, hires Temple University students to film their stories, and even has written short books about several of them. Marlowe credits at least some of her zeal to her Danish great-grandmother, Victoria Madsen, who was the publisher of a Communist newspaper called Land Og Folk in Copenhagen when World War II broke out and who played a vital role in a remarkable campaign using fishing boats to help 7,000 Danish Jews flee the Nazi occupation. "I feel I am very passionate about social justice and standing up for others – it could be from my great-grandmother's role in the Danish Underground movement," said Marlowe, whose mother converted to Judaism when she married Marlowe's dad. In recognition of her work, Northeast Philadelphia's Holocaust Awareness Museum and Education Center – of which Marlowe is a board member and chairs the education committee – plans to honor her with an award at its annual fund-raising dinner Nov. 17. "She's amazing," said Chuck Feldman, president of the museum, started in 1961 by a Soviet labor-camp survivor and believed to be the first Holocaust museum in the country. "The best word I can use to describe her and what she does is passion, she has a complete passion. … She's just a wonderful person." Feldman said 25 to 30 survivors volunteer with his organization and dozens more live in the Philadelphia area. Most, who were children when war broke out more than 70 years ago, are in their 80s and 90s now. As their numbers decline, educators like Marlowe are finding ways to pass along and preserve their memories for future generations. "She really leads with her heart," said Elkins Park principal Gerry Fitzpatrick-Doria. "She brings the truth of the Holocaust to the students in a very receivable way," helping children understand what it would be like to be a child during that time. "It really touches the hearts of kids," she said. Elkins Park School teacher Lise Marlowe’s great-grandmother (left), editor of a Communist newspaper during World War II, with Marlowe’s grandfather in front of a building in Denmark. The award is the latest in a string of plaudits for a teacher with a flair for bringing history to life. After winning the History Channel's first Teacher of the Year award in 2006 — for a book and film project on a nearly forgotten Cheltenham training camp for African American soldiers during the Civil War — Marlowe used some of the $5,000 prize money to hire a Temple student to record remembrances of Holocaust survivors. "My students are the last generation to hear a survivor speak," Marlowe said, as those who escaped the Nazis' clutches are believed to be dying off at roughly one per day. Hearing from the last of those who endured the Holocaust, she said, will allow them to bear witness to others. "I tell my students that when they go off into the world and hear 'the Holocaust never happened' from a denier, that they can say, 'You are lying, because I met a survivor,' " she said. "I tell them after they hear a survivor story, that it is now their story to tell to others." One local survivor whom Marlowe chronicled in a book after he spoke to her students is David Tuck, a Polish native who as a child was taken by the Nazis to the notorious Auschwitz concentration camp, among other places, before he was liberated in May 1945. His camp number is still tattooed on his arm. "She's doing a marvelous job," Tuck said of his friend, noting that he has spoken to tens of thousands of students. He said Holocaust remembrance "is very important, because as time goes by certain people say it never happened." "Once you meet survivors, you fall in love," Marlowe said. "They're not sad — they're happy people. That's a lesson for kids. Even if you have struggles – and a lot of our kids have different struggles — you can overcome it."